The Annals of the Missouri Botanical Garden is a quarterly international journal primarily devoted to systematic botany and evolutionary biology. We encourage submissions of original papers dealing with significant advances in the taxonomy, phylogeny, biogeography, paleobiology, and evolution of plants, and in conservation genetics and biology, restoration ecology, and ethnobiology, using morphological and/or molecular characters, field observations, and/or database information. The following articles are published online ahead of the Spring 2019 print issue. 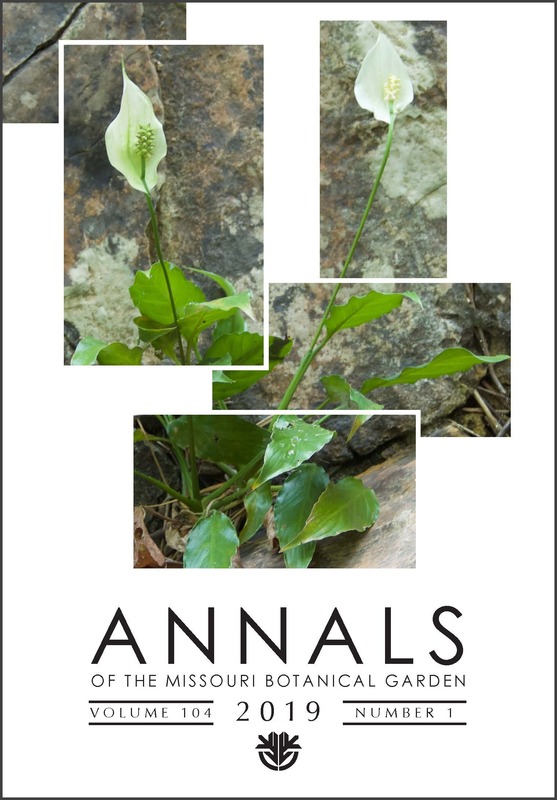 Eight Annals articles, including a guest editorial, will be published here as part of the special aroid issues, "Araceae, Recent Advances and Future Challenges," of Annals of the Missouri Botanical Garden 104(1) and Novon 27(1).